LA Weekly Featured VINYLSMACK at the Long Beach Comic Expo! We got featured in LA Weekly from our time at the Long Beach Comic Expo this past February! Thanks to everyone that stopped by and picked up some VINYLSMACK goods. We love that you share your excitement for the art we make!! 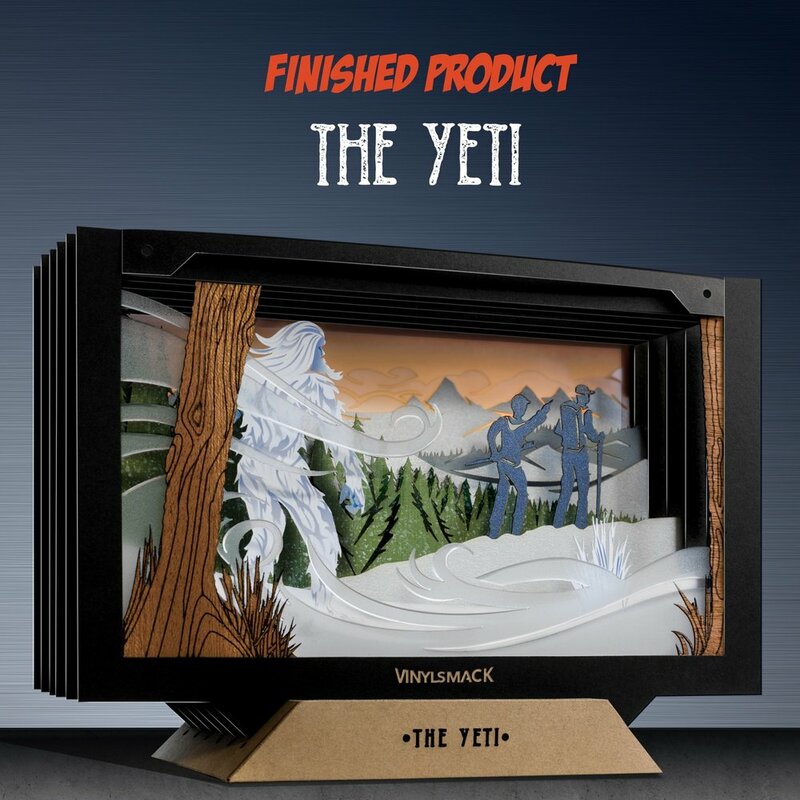 This year we’ll be releasing even more wicked cool stuff. MULTIPLANES are coming Q2 - 2018!!! I’ve had some time to rest and recoup from DesignerCon 2017! Here’s the recap. Thanks again to all of you that stopped into our packed booth and took something home! Also thanks for posting and sharing those photos and videos on IG! Next year has so much more new releases planned. Please like, follow and share! Come check out the VINYLSMACK Haunted Mansion Tribute Piece at Popzilla Gallery November 18, 2017. Check our events page for details. 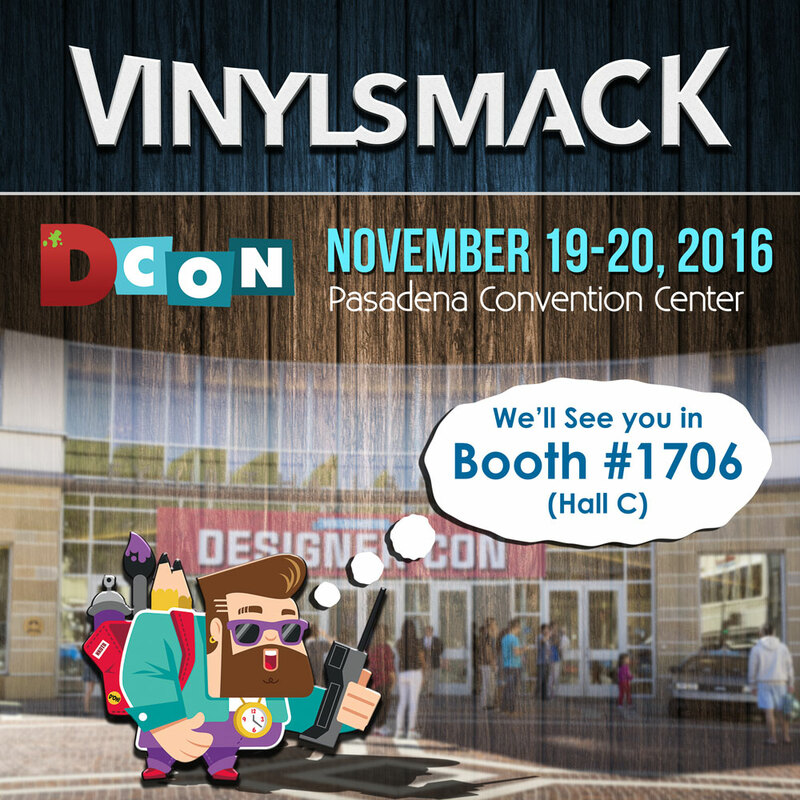 VINYLSMACK will be at Designercon November 19-20 in Pasadena, Ca! Mark your calendars. 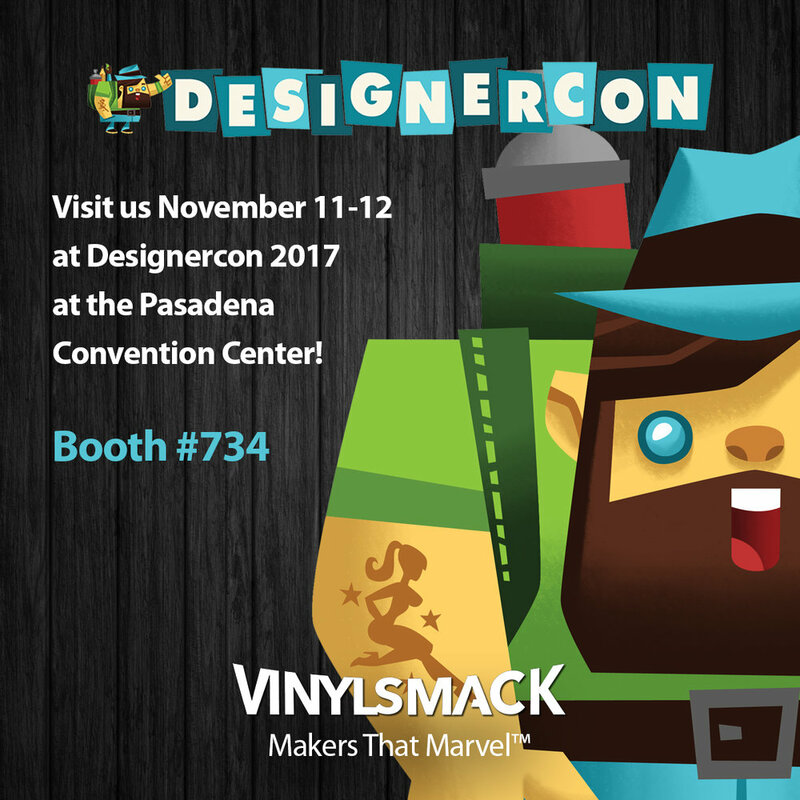 VINYLSMACK will be at Designer Con this November 19-20 at the Pasadena Convention Center. 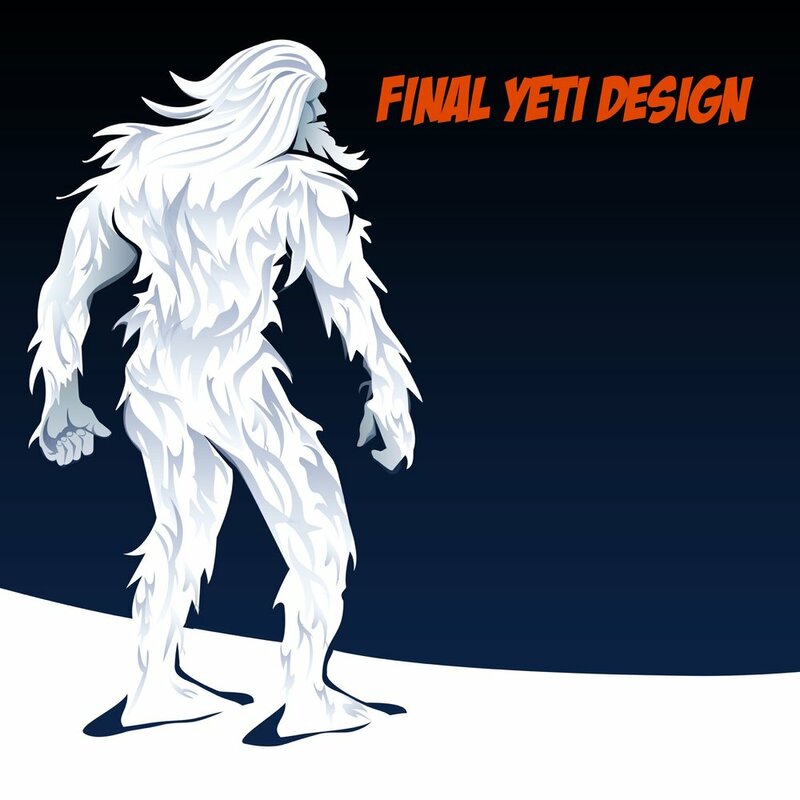 After our first appearance at DCON last year, we have since been hard at work with an amazing new product line that will make its debut at DCON 2016! Stop by and visit us in booth #1706 which is located in Hall C.
About DesignerCon: Designer Con is an annual art and design convention that smashes together collectible toys and designer apparel with urban, underground and pop art! There is so much in the works from here till then so stay posted and make sure to stop by our booth for more Marvelous Multilayer Creations. Sign up for our newsletter for more info and subscriber only specials that are soon to come. If you’re a fan, show some love and get the word out. New Rod Serling Inspired Buttons Available for *Free! "That's not fair. That's not fair at all. There was time now. There was all the time I wanted. That's not fair!" Man, that point in the Bemis episode gets me every time. New to VINYLSMACK, our Rod Serling/Bemis illustration is now home to some swell 2.5" buttons. They're available for $3 or come free with a purchase of either of our "3 Rods" die-cut sticker sets. 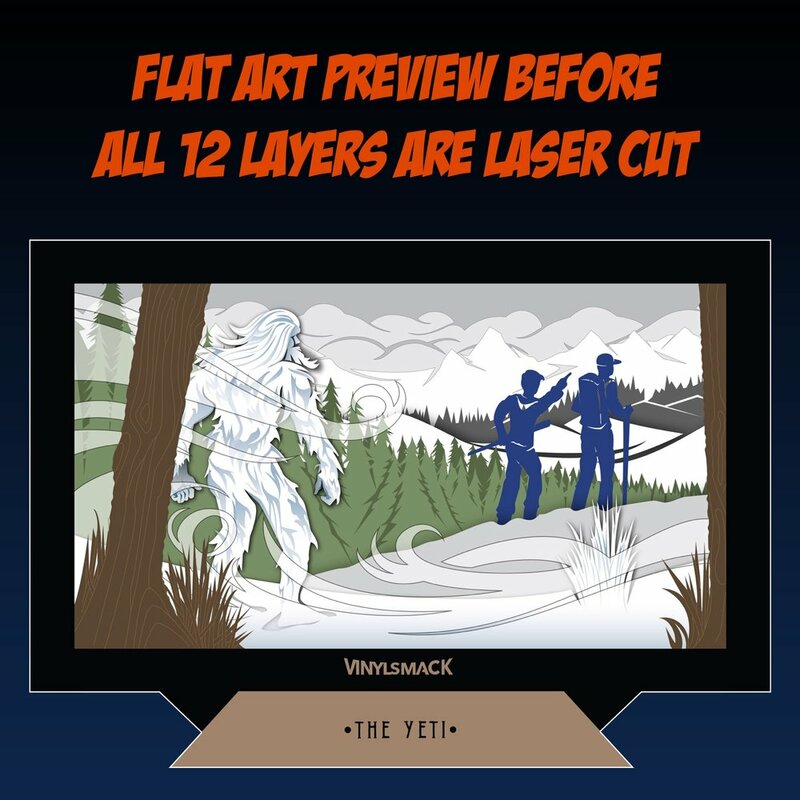 Pick one up today and show your love for Twilight Zone, Rod Serling, Henry Bemis, and VINYLSMACK! Vinylsmack is now at Big Kid Collectable Toy Mall & Retro Store! 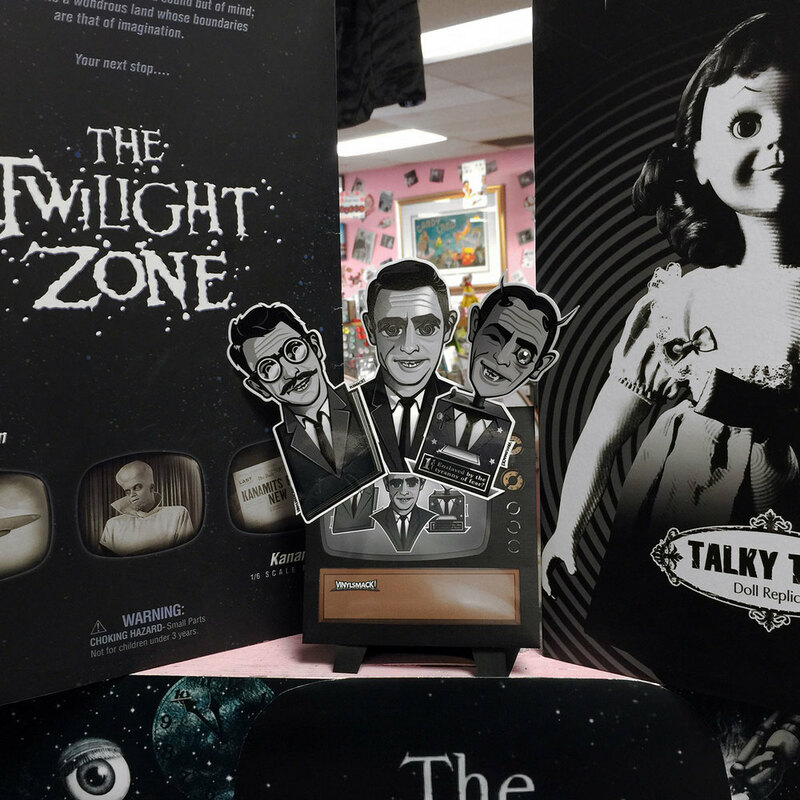 Our Rod Serling/Twilight Zone inspired die cut sticker sets are now available at my favorite retro toy store, Big Kid Collectable Toy Mall & Retro Store! If you're in the Sherman Oaks/Van Nuys area, you have to make it out to this shop. They have tons of hard to find old toys and new retro stuff as well. Dave and all the employees are just awesome!